The Antarctic Book of Cooking and Cleaning applauds Russia’s major Arctic clean up project by 90 members arriving on the ship Polaris to the Arkhangelsk Region. 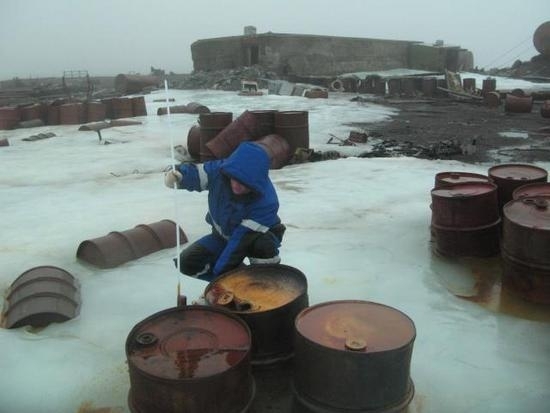 Over the years since our VIEW Foundation clean-up project in 1995-1996 Russia also committed more resources to cleaning up their scientific bases including Bellingshausen where we worked and Novo. Robert Swan with the Russian Antarctic Expedition helped take Bellinghausen’s clean up far. I’d like to know if Russia’s commitment remains to clean and preserve the Russian Antarctic bases. Same goes for other Antarctic research stations. Governments play an important role but it’s citizens who keep our leaders accountable. 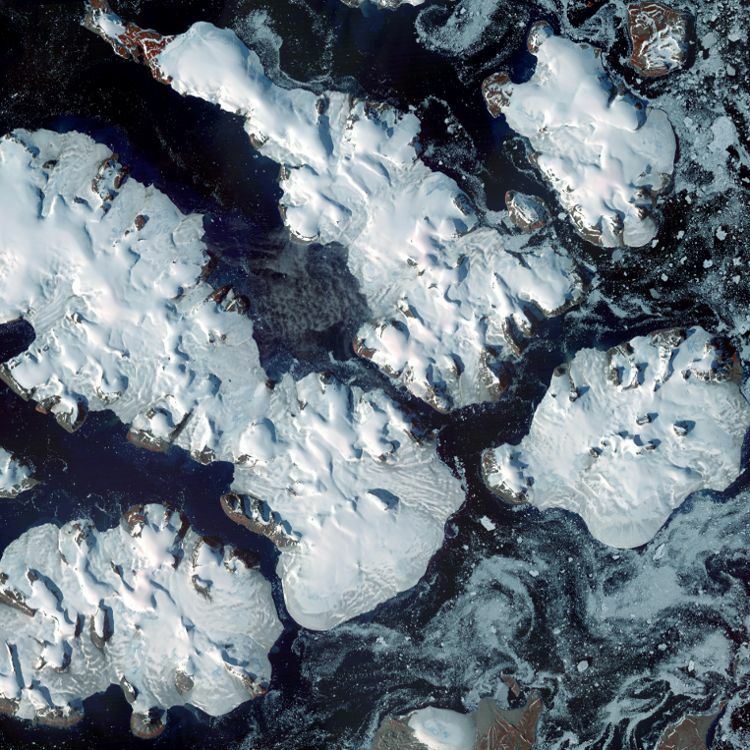 Russia, Canada, Denmark and other nations are making Arctic territorial claims so it’s positive to see investment, even if not enough, to environmental protection. “Russia is ready to increase funding for environmental clean-up programs in the Arctic, Putin said. “A total of 2.3 billion rubles ($70 million) has been earmarked for that over the next three years, 2012 through 2014,” he said, adding that spending levels could be raised if necessary. The expedition, initiated by Putin and organized by the Russian Geographical Society together with the Natural Resources Ministry, the Sevmorgeo Monitoring Center and the Polar Foundation, will start in early August and last through October. Unsurprisingly, the clean up effort comes alongside development, including military development. That’s less laudable. Of course the Arctic efforts are also about economic development but so far few governments think and act long-term about environmental protection. Canada disappointed at Rio+20 and won the ‘Fossil’ award, according to Huffpo. Russia blew its horn too much also. “This [expedition] is part of our intensifying activity in the Arctic. We’re going to step up our efforts here along multiple lines – developing new deposits, building infrastructure, primarily ports, roads, and bridges,” he said. The expedition will focus on clearing heaps of garbage believed to have accumulated on the islands from the 1930s to the 1990s. The expedition is expected to eliminate up to 8,000 tons of waste, including 70,000 barrels of fuel and about 3,000 tons of lubricants, at an estimated cost of 637 million rubles ($19.8 million). This doesn’t look or sound so different from our clean up project in the Antarctic at Bellingshausen where there was also years of abandoned debris, only this clean up is at the top of the world where things are changing maybe even faster than in Antarctica. And the dollar figure is relatively higher perhaps for the Arctic ‘development’ than the clean up money spent on the Antarctic. Regardless of location: preserve, cooperate & clean up, not military build up. “Celine MacKay of the blog Pure Green has launched Pure Green Living, an off-shoot of her blog featuring eco-style picks, new products and ideas, DIY projects, green homes, travel, organic recipes and more.” Poppytalk blog. 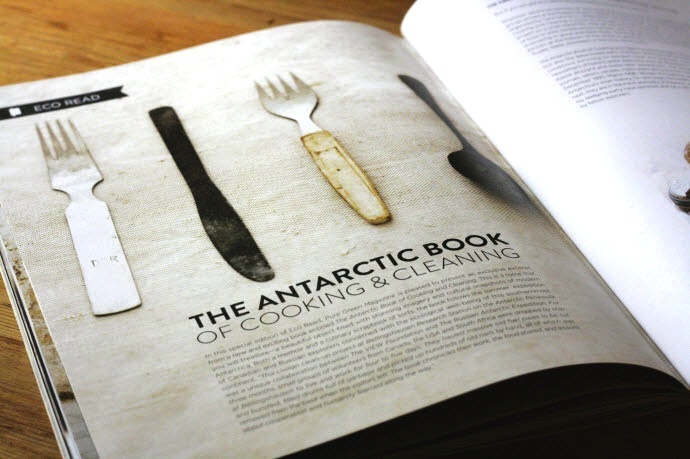 Includes a special icy cold sneak peak recipe from Wendy that she made in Antarctica.